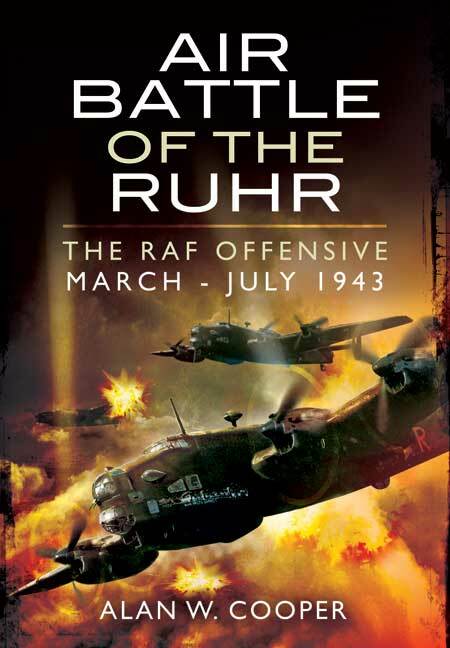 You'll be £12.99 closer to your next £10.00 credit when you purchase Air Battle of the Ruhr. What's this? First published to acclaim in 1992, this book deals with the exploits of Bomber Command during their tactical offensive against German industry in the Ruhr valley during World War Two. Tasked with flying out across the valley time and time again in a series of bombardments and offensives, scores of young pilots called upon humbling reserves of bravery to meet their objectives. The author begins by describing the roles that these pilots were expected to carry out as part of Bomber Command, before going on to define the landscape of the Ruhr area in detail, illustrating its great importance in terms of industrial output to the Germans. Statistics are included, detailing the number of bombers despatched, the number that actually made it to their targets and, quite poignantly, those that never arrived. Illustrated throughout, the book offers a complete overview of this important episode, set within the wider historical context of the war against mainland Germany – a subject that is rarely dealt with in such depth, or with such attention to detail. Although costly, the Battle of the Ruhr was a success and played a significant part in the ending of the war in Europe. This book serves as a reminder of the epic contribution put forth by Bomber Command in this endeavour. This book deals with the first phase of RAF strategic bomber offensive during the World War II. From March till July 1943 Arthur Harris, by then AOC-in-C of Bomber Command, launched series of constant raids mostly on Ruhr valley targets. Employing new organizational, technical and tactical innovations (e.g. bomber stream and Pathfinder force, Gee, H2S and Oboe devices, new four-engine heavy bombers and Mosquito target marketing planes), he sent his crews to create â€œprogressive destruction and dislocation of the German military, industrial and economic system, undermining the morale of the German people to a point where their capacity for armed resistance is fatally weakenedâ€. Alan W. Cooper in his deeply researched work meticulously describes British and Commonwealth air and ground crewsâ€™ efforts to knock out that pivotal part of Nazi war machine. Going in details, he leads the reader to discover that it was to become RAF Bomber Command first significant (although costly) victory in the abovementioned campaign. Alan Cooper has been an avid aviation historian and writer for some years. His previous titles, published by Pen and Sword, include Air Gunner: The Men who Manned the Turrets, Target Leipzig: The RAF's Disastrous Raid of 19/20 February 1944, and Free to Fight Again: RAF Escapes and Evasions 1940-1945.